Megan Steljes joined Coastal Cancer Center in 2012. Originally from Connecticut, Megan grew up and spent the majority of her life in the Myrtle Beach area. She obtained her Bachelors of Science in Nursing from Francis Marion University. After graduating, she worked in the Medical Intensive Care Unit of Pitt County Memorial Hospital. Megan received her Masters of Nursing degree from the University of North Carolina Wilmington and graduated the FNP program in December 2011. 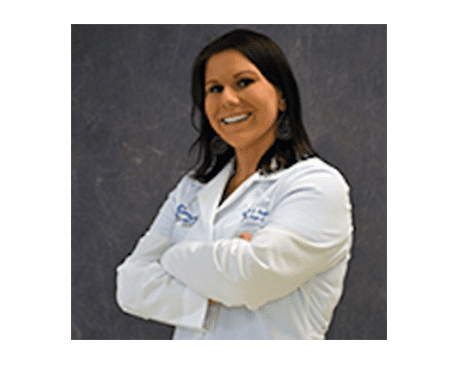 She is licensed in SC and NC as an Advanced Practice Registered Nurse, and is certified nationally by the American Academy of Nurse Practitioners as a Family Nurse Practitioner. Megan is a member of the American Academy of Nurse Practitioners, The Grand Strand Advanced Practice Nurse Association and Sigma Theta Tau International Honor Society of Nursing. Megan spends the majority of her free time with her young son. She enjoys church, the beach, being outdoors, reading, movies, traveling and NASCAR.